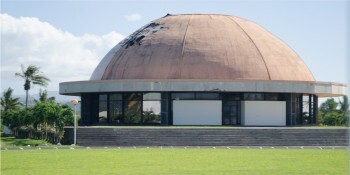 Samoan Parliament building – currently being rebuilt  – a meeting place of power (and corruption). One of the challenges facing an outsider commenting on another culture is that one can be seen as a sticky-beak, without proper understanding, without the requisite knowledge of the local culture. I believe this is a false characterisation if applied to me due to my extensive work adjusting to, enjoying and participating in the Samoan culture & lifestyle when I lived there. But that’s for debate. What is not up for debate is the assessment that I bring AS a Palagi (foreigner) discussing the issue of engaging and perhaps investing into Samoa. This is where I am clearly in the best position to analyse and advise. My basic advice is NOT to invest, most certainly if your planned investment is intended for profit or capital retention. There is a 99% probability that an investor into Samoa will not see a return, ever, either by way of positive cashflow or a return of capital, and there are a hundred reasons why not. There are a couple of exceptions which I know of. YP from Fiji did very well when he bought the Tanoa. He timed it well and got a massive boost from market events having refurbished at the perfect time while others were just getting started. He wouldn’t do so well now though. The Aussies who run the top resort Seabreeze on the South Coast have also carved out a nice little niche operation but again they did it well, timed it well and set the standard. There are a couple of larger companies that have a dominant role in telecommunications that have done quite nicely, but that’s pretty much it. They won’t fess up about it, but the multinationals struggle too in Samoa. There are quite a few successful businesses run by foreigners – Chinese in particular – also Caucasians but this is generally lifestyle investing where [typically] a Palagi will marry local then immigrate and stay, bringing their capital and/or skills & work ethics into the marketplace. One foreign-owned business provided a long-term employment opportunity but recently closed. This was the exception. What is much more common though is the sort of thing that I did and experienced. We, as Palagi, come into the new culture, and for us a new opportunity with Western ideas, do something (or in my case several things) and then generally leave (or in my case get booted out) having lost the shirt off our backs. Legion are the stories of Palagi losing their investments in Samoa and it’s not just the ‘lying, greedy, dishonest Samoans’ fault either. Tuila’epa makes a big song and dance about political stability, especially to foreign investors. He is right of course. What is not known, certainly until quite recently is how that is achieved. View Samoan politics from even partial knowledge and you can see a festering cesspit of greed and self-interest – what we in the West call corruption, or at best, extreme nepotism. Those who have something to give the people in power – be it at a central government level, local government (the village matais) or the religious leaders get the nod. What one needs to understand, and this is the barb on the hook, is that this “assistance” is not a once-off, nor a fixed arrangement. It is ongoing and it increases as Samoans require increasingly more “assistance” from the honeypot. In Samoa a deal is only a deal as long as it suits the Samoans. OLP has been sharing how the tips to those in power need to grow over time in order for things to remain “facilitated”. In the West we call this bribery or extortion. Samoans at all levels of society (especially those in power) see it as a right. It’s the norm. It is not possible to explain the differences between the two cultures in a way that a Palagi can properly understand the Samoan culture, certainly before investment occurs. This is because culture at heart, and especially Samoan, is a changing beast* and the culture has to be learned by imbibing, not taught. The bottom line is that an off-shore investor (and this can be a Westernised Samoan OR a Palagi) simply cannot understand nor play the game as the locals do. In fact the ex-pat Samoan has considerably MORE chance of losing all than a Palagi investor because Samoans know and understand how to use and abuse their own better. When you deal in cultural matters with manipulators you will find the goal-posts changing. The thing one needs to understand is that one CAN never fully understand and comply with cultural requirements. In simple terms this means that one will be paying forever, one way or another just in order to keep your investment or business afloat. This is the key reason that Palagi leave Samoa in disgust. They think, “Samoans are sneaky, dishonest and manipulative!” They are right. The Samoans think that the Palagi are rich and therefore should “feed them” forever, after all it is their land/beach/country or whatever. In their eyes they have that right. The Samoan islands are a small market miles from anywhere. Most investors do not understand the dynamics of being an island state in the middle of the Pacific. We view opportunity in both volume and commercial sense from a Western mindset which brings processes designed and proven for a different scale. The logistics of bringing a machine, or brand or product or service to market in Samoa is substantially different to that in the West. Add in cultural tendencies and you have a recipe for trauma if not outright failure. We might view the island ways with jealousy when looking at a laid-back approach to life when we’re on holiday and wanting to have more of it. An investor though will look at this as laziness and hate it with a passion. If for example you have a resort and think to pay a Samoan girl twice as much and expect her to work twice as hard is stupid for she’ll want to just work half the hours. Samoans seek to have the latest, in terms of ideas and to look good. If you do something new or unusual and it is successful, you will lose that competitive edge instantly as Samoans will copy or clone your success. For years the renting of motor scooters was limited. Over a two year period every man and his dog seemed to bring in scooter after scooter and they are now ubiquitous. If there is a commercial opportunity of note, you won’t get it, unless the government needs something. Then they will get what they want and go into opposition with you, so that your investment is lost. Likewise with resorts, construction, product development, services – across the board. It’s a repeating pattern – take the Palagi’s ideas (or money) and then kick him out. But Samoa is not a closed door totally, there are ways that investors can invest and survive. The first one is to marry locally, immigrate and run your business with your family support. This is a proven business model that mixes the capital and expertise with the assets of land and labour. It is a wild ride for most Palagi doing this but it can work, for the brave! Challenges abound, as Samoans see the Palagi who has married into their family as a source of supply – money, influence (usually to get out of Samoa and to live offshore) etc – but it is possible. The second is to partner with a local businessman. Indians do this well, partnering with a Samoan with land or business opportunities; Chinese tend to do this with their own; Palagi generally find it hard because we want to own it all ourselves but this arrangement can work. You get the local knowledge and political influence. You do the bulk of the work but share the profits – in theory! Cold investment is a recipe for disaster. In my experience, reading government issued marketing materials, coming to Samoa and expecting to do business is almost certainly unwise. Lastly I turn to the issue of family investing, and here this mainly applies to ex-pat Samoans or Samoans born and bred overseas returning to help family. Typically they bring money, a deep desire to help and often a wish for change. All three things are red rag to a bull for local Samoans. They are wined and dined and honoured when the money flows; their desire to help is milked for all it is worth and change occurs readily when the ex-pat or “Westernised” Samoan is there, then reverts to the lowest common denominator the instant the outside influence has gone. Samoans from off-shore have a brutal experience when attempting to re-engage with their on-islands relatives. Three years is tops and then they mostly all return back overseas, mostly disillusioned, often bitter and hopefully a little wiser. Watching this from the outside is ugly and painful. I understand both sides of this equation and I know the way that when you have nothing, you tend to look at people with something as a target. Our desire is to plug into their resources and when we are on a roll, it is so easy to push for more and more from those that give. It’s basic human nature. But from the outsider’s perspective it hurts to be bled unfairly, especially when their desire to help is not appreciated by the recipient. Many a time I have gone back to our investments and seen devastation as things have been abandoned, stripped or simply vandalised. One wonders why we should bother in the first place. Which brings us to motive. A key part of the decision to invest must be to analyse one’s motive. If it is to profit . . . pass Samoa by without a second look. Dubai, London and New York offer infinitely more opportunity. Even Australia & New Zealand are 100x safer for a profit-based business. I would NEVER invest into Samoa is profit was a major requirement of investing. Never. Then at the other end of the investing spectrum sits philanthropy – the idea that by investing we can help a nation and people that have greater need than ours. Unfortunately this “cargo cult” exists in strong measure in Samoa, particularly in and around adverse events such as the 2009 Tsunami, Cyclones such as Ofa, Val & [more recently] Evan. Samoans as a people know instinctively who to say thank you, and they do it VERY well. Unfortunately this is a poisoned chalice as giving often perpetuates poor thinking and self-interest. There are ways to give, and to invest to help constructively but these are not easy, they time to establish and are a lot harder to manage than straight out charity, or even philanthropic investing. In the middle of these two extremes there are also a range of opportunities and structures where it is possible to invest and to achieve returns and achieve social benefit. It is hard though and fraught with danger. From what I know and have seen, unless you have very good partners, a deep understanding of Samoan ways, failure is very likely. There is one other niche that I prefer not to encourage but can be successful investing and that is the dark arts of money laundering, crime and crooked business dealings of all manner. Samoa is an open book for these people. The public are largely uneducated, greedy and suckers for a quick buck. Tricky Palagi can do quite well if they are smarter than those they deal with and play the game well. I have neither interest or need to assist these people with advice. They do quite well without me! Investing into a corrupt society like Samoa is a fool’s game. Cultural differences; social norms; greed and self-interest best described as excessive or extreme nepotism, if not outright endemic corruption conspire against a foreign investor. It can be done, depending on the level of support, luck and one’s capacity to ‘play the game’ [hint, hint, bribe] but it is a very hard road to hoe and inadvisable for most, and it’s particularly hard for off-shore raised, ex-pat Samoans. * Jesus worked cross-culturally. He listened only to His Father and only did what He wanted. When we submit to a culture, any culture, of necessity we move from loving and respecting absolutes into a grey area. Samoan culture is literally an idol to most Samoans. It’s understandable but the proof of the pudding is that if or when the Samoan culture is shown to be ungodly in one area, biblical values get altered to fit. This the root cause of ungodliness where half-truths, and diplomacy that avoids hard issues in order to keep the peace. This is a noble goal of course but it’s one that grates with those who work with absolutes and causes conflict with the godly. We hate the way a Samoan breaks a deal for “cultural reasons” when we pay for their “flexibility”. So too does the Lord, for the flexibility simply never ends . . . idolatry.